Overwatch is one of the best online games you can play right now. And the best part about it is that it constantly receives a lot of new content. So if you are a fan of high octane and fun gameplay, this is the right game for you. But getting better at it can be a chore, especially after buying a boost, which will most likely land you in a whole new different bracket, with way less forgiving players, so to speak. That’s why we created a quick list of Overwatch tips you can find below! Essentially, that means you need to have a good attack hero, defense hero, tank, and support. Ideally, you want to have at least 2 characters that you can play well for each class. This way you can easily offer your team the help it needs. Sticking to a single character for the entire game won’t help all the time, so try to consider that. This is also extremely helpful especially when you play in solo-queue, as we all know, those tend to have some players that refuse to swap or help, and you might end up being the "vigilante" who fills the missing role in order to secure your win! As we all know, Overwatch maps are diverse, and so are their objectives. Some just require you to kill the enemy team and keep control of the point, while others will need you to push the payload and so on. Stick to the objective at all times and try to make sure that you don’t go astray. If you do so, then you may have to deal with problems. As a particular scenario where this advice applies, we've all been in that position where our team defended an attack, but an enemy got away, despite the other 5 enemy players dying. Chasing that player can and most likely will get you killed, so even if he managed to get away with 1 HP, leave it be and focus on your positioning and defense for the upcoming attack wave. It’s a lot easier for a team to succeed if it has the right amount of support. If each team member goes in different directions, your power as a team will diminish. The core Overwatch gameplay is about team play, and that’s what you want to have to reach success. Pay attention to your tanks and their shields, and also make sure to keep an eye on your healers, as they're most likely the first ones to be flanked and killed. Some maps have more than a single route towards the enemies or the objective. If you know those adjacent routes, you can lead a surprise attack, and that can cripple the enemy. As a flanker, this is extremely important, because there are certain places and routes where you can get to as Sombra, Tracer of Genji, to name a few, and either surprise them, or start contesting the point, which will distract them from the currently secured choke point. The bottom line is that you want to learn the maps as fast as you can. Only then will you be able to get the results you want. You don’t want to stay in a single place, as you end up an easy target. The major focus in Overwatch is to move as much as possible, of course, without losing track of the goal or the objective. If you check the Overwatch streams, you will notice that top players tend to have great mobility. Whether you're crouching occasionally when shooting, moving left-right while sprinting as Soldier, or changing your positions as Widowmaker for example, moving is an important aspect of the game. Doing so properly can and will throw your enemies off or simply make it harder to either locate you or aim at you. There are lots of places like the practice range or training where you can try out every hero and his abilities. Don’t go into battle without knowing all hero abilities and how to use them. This will just get you killed. More so, the arcade mode "Mystery Heroes" is perhaps one of the best ways of training certain heroes or roles that you otherwise wouldn't want to pick or play for more than a few seconds in a different game mode, so make sure to give that one a try too. Watching some Twitch streams of top players playing certain roles, or even YouTube videos can also improve your gameplay quite a lot. More often than not, seeing them perform in actual unique situations makes it much easier to understand, as opposed to looking up guides. Also, it's important to mention that regardless of how good you are or become after buying a boost in Overwatch, you can't win every game. That's just how it is, for everyone. It's also worth mentioning that you can also find yourself on a losing streak. That's also normal, and it does happen to all players every now and then. I'm only mentioning this because regardless of how the games are going, you should never consider using a cheat or any actual third party software, because that will lead you to getting your account banned. That being said, although certain Overwatch game stats / trackers are completely harmless and aren't frowned upon, some of them were known to cause false positives every now and then. If you are simply using them to export your Overwatch stats to Excel and such, and you find yourself getting banned for it, you can always try using an Overwatch unban service. 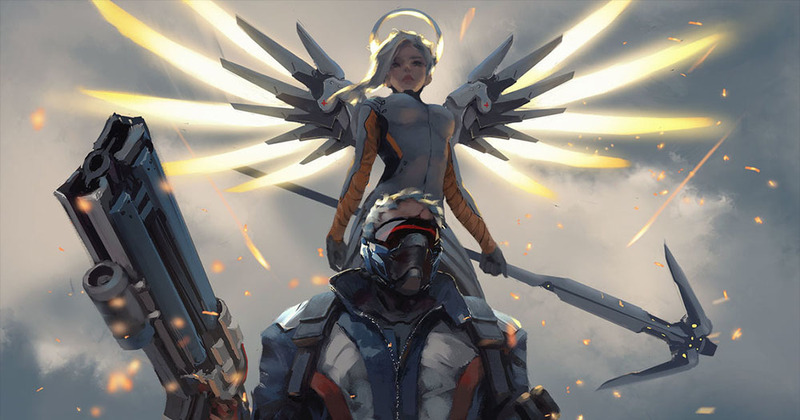 Bottom line is, the best way of keeping your rating up, or even climbing further after buying an Overwatch boost is through constant practice and training. Quick Play is also a very nice way of training a certain hero once you got the hang of it, so don't be ashamed to queue up for it as well!